At HughesAutos we cater for all Nissan high performance cars just like the dealer. Service repair and diagnoses. On the GT-R (R35) we have the dealer level computer that allows us carry out clutch learn and gearbox optimization. The design of the GT-R (R35) clutch, transmission requires inspection and adjustment of the clutch and shift system at the recommended service intervals. Depending on driving conditions, adjustments may be necessary to help maximize vehicle performance and gearbox life. We can also set the idle air volume with the diagnostic machine. Engine settings balancing of air flow for left and right banks. 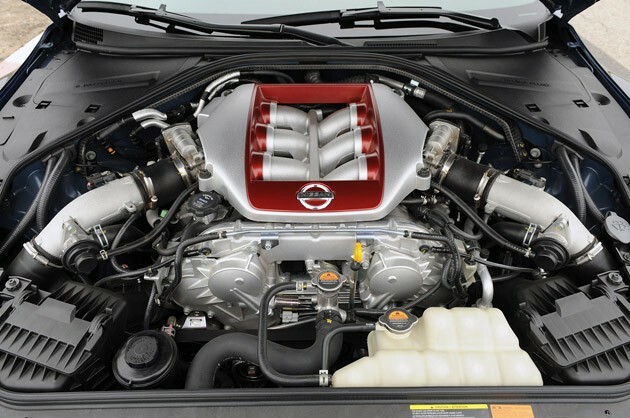 Left and right cylinder bank on the GT-R (R35) engine operates independently due to the car’s twin turbocharger design. As left and right side of the V engine must operate at the same level of performance. The power output of each bank must be checked and adjusted if necessary.